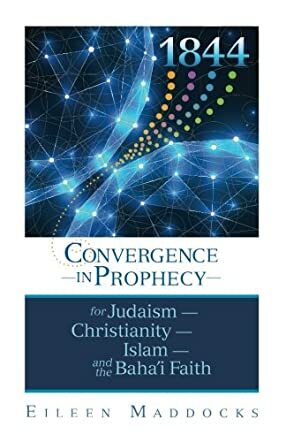 Eileen Maddocks's 1844: Convergence in Prophecy for Judaism, Christianity, Islam, and the Baha'i Faith is the perfect book for readers who like to study religion and try to dig deeper into how a religion took its form and was shaped into the belief systems that people are following right now. The author examines the theory presented by William Miller that the Second Coming of Jesus occurred in 1844 and that the Savior will come back once again. Many people believed this theory and believed that Christ did appear in the mid 1800s. However, this theory gave birth to many other theories and belief systems in the world. Eileen Maddocks forms connections between the prophecies, trying to come to the conclusion that the Second Coming of Christ did happen all those years ago. But He came back to His people in the Middle East rather than where the world expected Him to appear. This really well-written and researched book is definitely for open minded readers who like to discover things and come to their own conclusions. The amount of research the author had to do to come to her own conclusion is frankly intimidating. This is definitely a good read for those who like to study religion and see it from multiple angles. This is a deep look into what we believe and how we came to believe in our religious concepts. I was amazed at the amount of references that the author made and this shows her dedication to the subject matter. Her writing style is soothing and refreshing, which makes reading this book even more interesting.